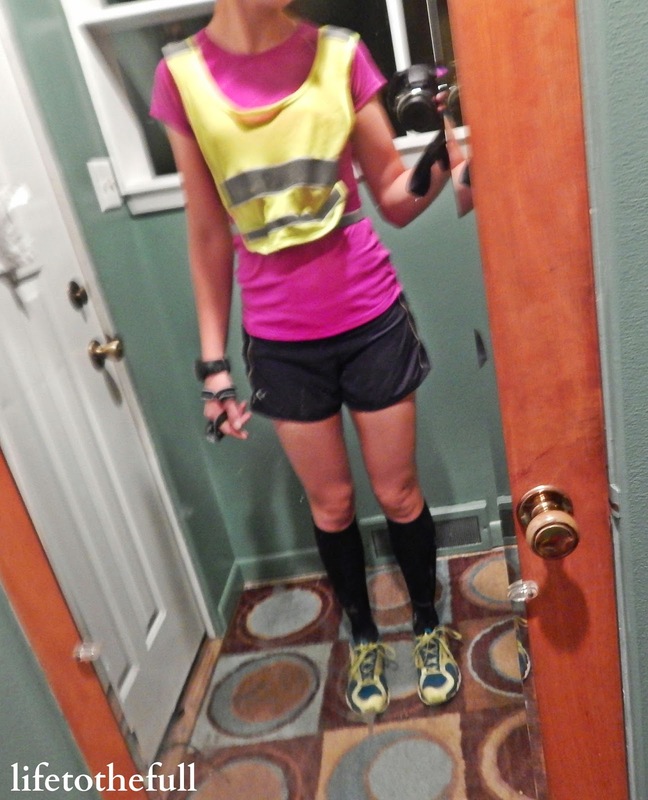 It's taper week for this Saturday's half marathon! That means I'm A.) Attempting to rest (whatever that means with a toddler at home) and B.) Baking a lot. This morning's run was a "dress rehearsal" for race day; basically, just wear whatever you plan on wearing on race day and make sure everything works. By "works" I mean, no chafing, rubbing, or blistering issues. I haven't met a single person who enjoys chafing and blisters! Vaseline is a runner's best friend. Here we are, my "dress rehearsal", minus the construction worker's vest and hand light (it was 5:30 a.m.). I suppose the dark running gear won't be necessary on race day as the race starts at 8:00 a.m. Running in the daylight will be quite a treat! E and I are heading to the race expo on Friday and then getting some power groceries - I'm looking forward to both! Love race expos... and groceries. Leo has duties this weekend and won't be able to watch me run, but I am very excited to spend time with my best friend this weekend. We're having a girls' night (plus E) on Friday and she is babysitting while I run on Saturday. For each race, I write a verse from Scripture on my arm and I'm thinking this is the one for Saturday >>> Psalm 115:1 reminds me of God being my #1 priority. Everything we do is all for His glory! Keeping my eyes on God enables me to compete with less stress and more joy. Make lots of apple things, eat wayyy too many apple-related dishes in one week, and completely burn out on apples. 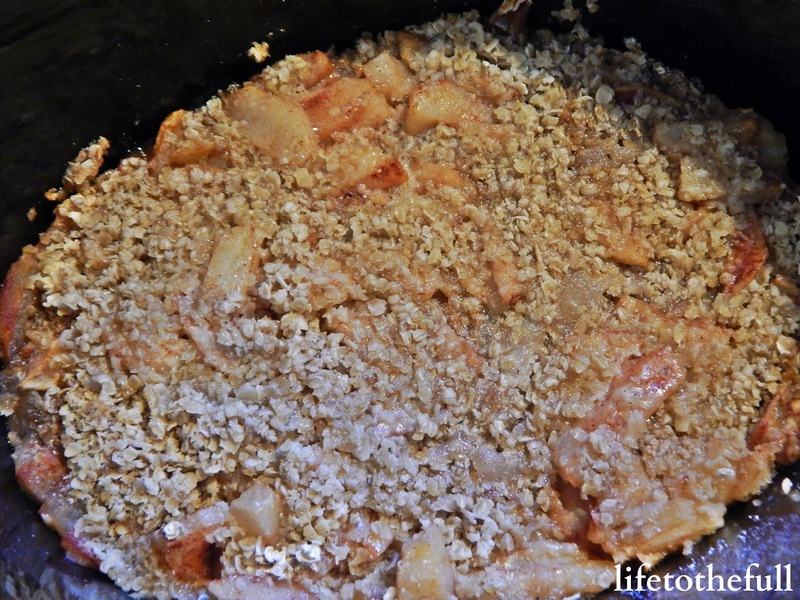 Crockpot Apple Crisp. Easy to make, delicious, and relatively healthy (for a dessert). 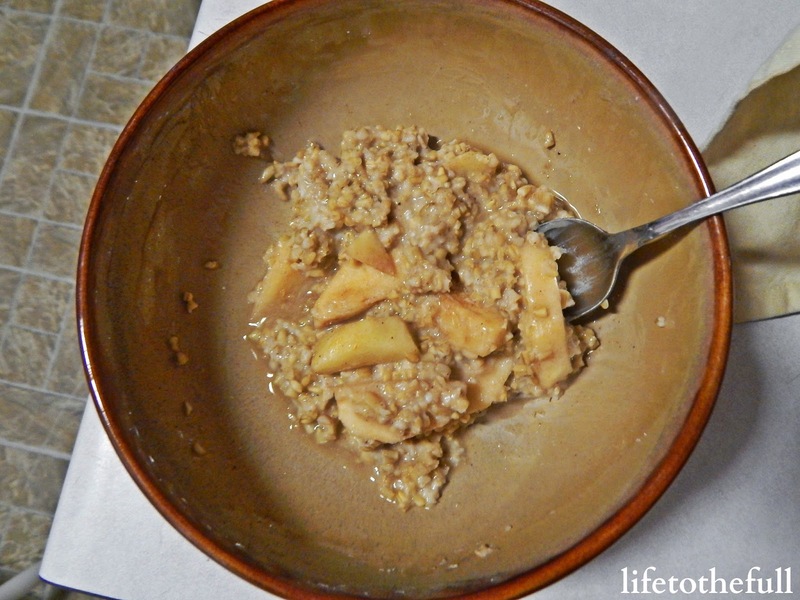 Overnight Apple Cinnamon Oatmeal. 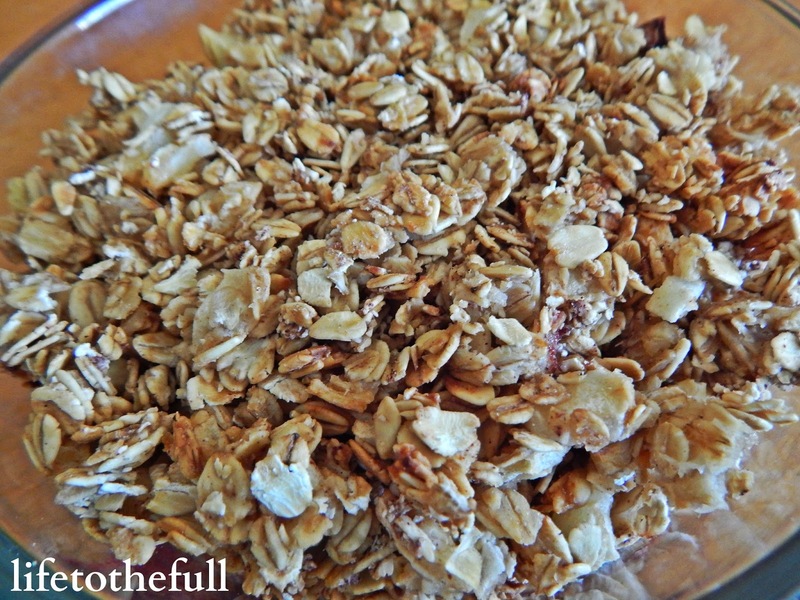 Something fun to try with steel cut oats. Apple Cinnamon Granola. This recipe was one of my favorites, especially with peanut butter and dates added to the recipe. 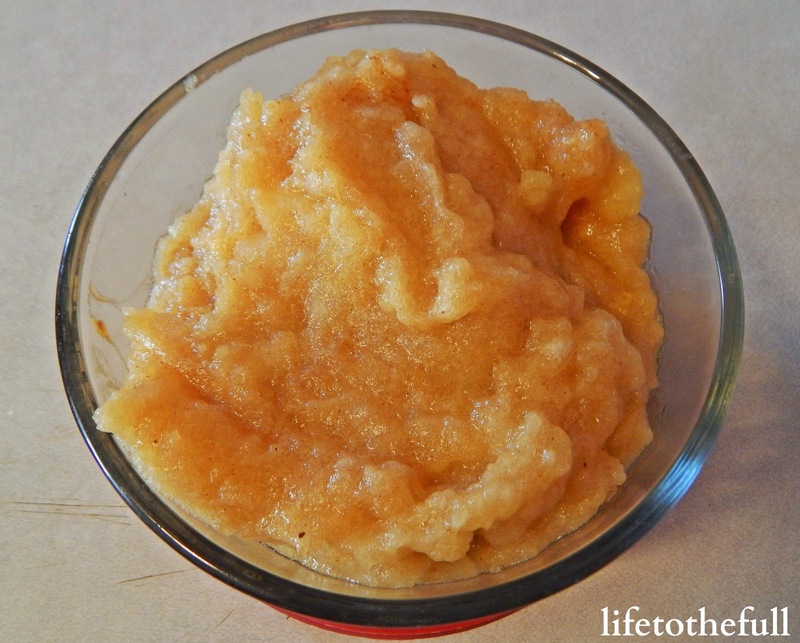 Homemade Apple Sauce. 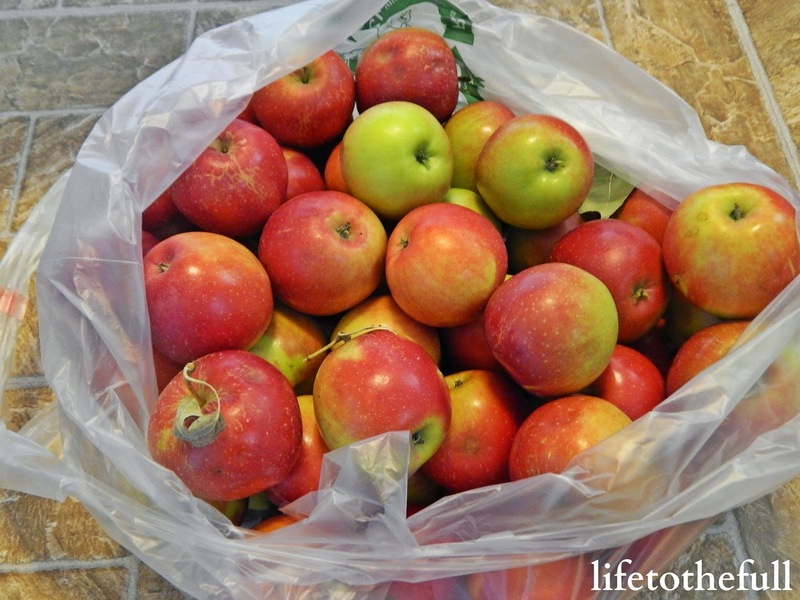 My neighbor gave me a quick run-down of how to make homemade apple sauce. Making apple sauce was much easier than I expected but peeling the apples did take a while. The apple crisp was E's favorite! 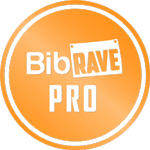 Do you have any half marathon taper tips? What is your favorite apple-related recipe? I'm eating a McIntosh apple right now! 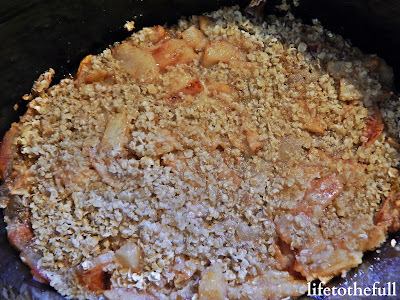 My favorite apple recipe might be apple crisp. I hope you have a great time at the half marathon! Just finished an apple :) Love local apples in fall, planning to make apple pumpkin muffins today. Good luck with the half, have fun and enjoy the race. I just learned what taper was and AMEN on your scripture!!!!! Taper is so huge... I look forward to it and then when I'm actually trying to taper, I don't like it. Weird. That verse definitely got me through Saturday's race! 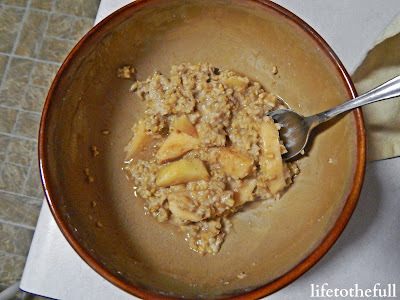 This was my first go at apple sauce and it was a breeze - though cooking the apples was key! I chopped them up and left them in the crockpot for like 4 hours to cook them. Easy peasy! I'm working on an apple recipe now. The Honeycrisp apples are so good and it's surprisingly early. Yay! 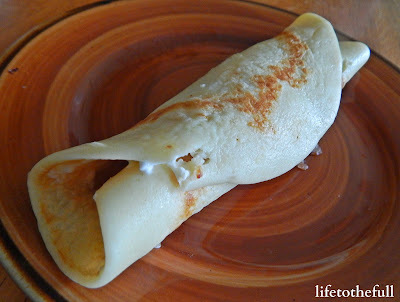 If you share it on your blog, I will definitely check that apple recipe out! Love apples!